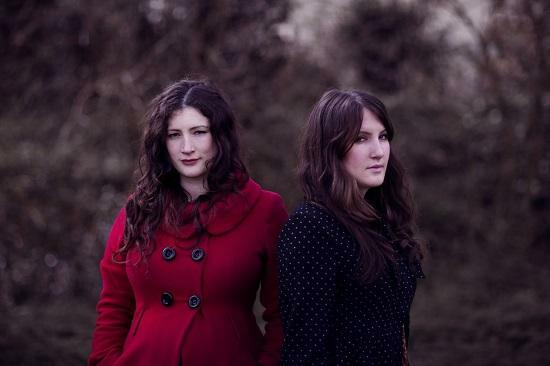 Now in its third year, and its first without any assistance from outside promoters, The Unthanks' personally curated festival Home Gathering has already built up a reputation as one of the most personable small festivals the country has to offer. The love that the longstanding folk favourites have for the event and their native Tyneside where it takes place is reciprocated in their audience, with a sense of mutual devotion underpinning the event, and for their latest edition the group have something extra special in store. Formerly known as Rachel Unthank and the Winterset, the folk group will be reprising their old moniker for a one off performance of their acclaimed 2007 album The Bairns, and joined by former member Stef Connor on piano. This is in addition to another performance as The Unthanks, as well as sets from the Neville Staple Band, Beth Orton, Joan as Police Woman and more. 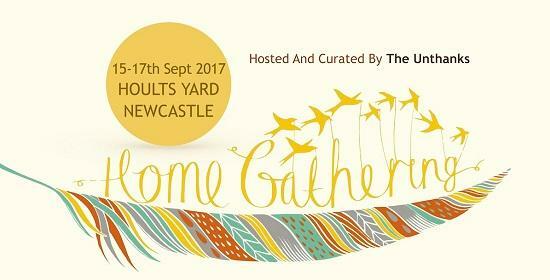 You can see the full line-up and find out more about the festival here, and read on for an interview with Rachel Unthank, on Bairns and the past, present, and future of Home Gathering. tQ: The performance of The Bairns at Home Gathering is presented as a one off, is there no temptation for you to take it on tour? Rachel Unthank: I'll let you know once we've done the first one! But, I don't think we'll tour The Bairns, no. We’re aware of the affection that people have for that record, so the demand is probably there to tour it, but we have so much in the pipeline that we haven’t the artistic patience to tour The Bairns. It will be a real treat to play with Stef again, and I am looking forward to revisiting the material, but we like to keep moving forward as a band and are already working towards new projects. What’s it like to revisit as a record after all these years? RU: I hadn't sat down and listened to it properly for a long time, so it was with slight trepidation that I pressed play. It’s like peering into a different time of your life. I enjoyed hearing how fearless and hard we used sing. Maybe we've mellowed a bit with age, but I enjoyed hearing us sing and play like that. Does it have a particularly soft spot for you amongst your entire discography? RU: The Bairns will always feel special to us. Looking back I think it was the first time that we had a coherent artistic sense of what we were trying to achieve. It was such an exciting time. Being nominated for a Mercury award was something that we are still so proud of. It was also a time when we started touring and travelling more. That's probably when we caught the touring bug. Are you approaching the live performance of it at Home Gathering any differently than you would usually? RU: I don't think we'll approach the live performance any differently to every new project that we have. With each twist and turn, whether that be playing with Liverpool Philharmonic, or the recent Molly Drake album, or looking back to The Bairns, we always throw all our collective energy and commitment to the current project. I think, because we only take on work that we are passionate about, that we are looking forward to getting our teeth stick into, then our approach is always a bit last minute and full on. In the decade since The Bairns' release have you seen attitudes towards folk music change? With the resurgence of Shirley Collins and the likes of Richard Dawson’s new album the traditionalist approach seems to have come into vogue. RU: I think the changing attitude to folk music was already under way at the time of The Bairns. I remember being in a high street clothes shop around that time and across the walk was the proclamation that 'folk is the new disco.' I remember laughing to myself and thinking that I knew I'd be fashionable one day, if only I waited long enough! From that time, I think there has been a growing thirst in our culture to counter mass globalisation, to seek out things with a sense of place or identity. This is seen across the board, from music to knitting, to local food and craft beer. If you if you are looking for local, independent culture then folk is an obvious place to turn to. We had Richard Dawson at Home Gathering last year and of course he polarised opinion like he does in any context, which is great because the opportunity to confront audiences with something unexpected is perhaps the most valuable function of festivals. It’s The Unthanks’ first year running the festival without the assistance of outside promoters, why is this the year to go it alone? RU: The first couple of years were a trial really, to see if we could handle it and to see if people wanted it. We are very grateful of the help we initially had, and we retain a good relationship with those promoters, but we are not simply in the market for adding our name in association to a festival. We work in an independent way wherever we can, as we care deeply about everything that we do. We are passionate about live music, and festivals have always been a highlight of our calendar. My sister, Becky, and I originally learned enough songs together with the specific intention of trying to get into festivals for free. So, from what kind of beer is served, to providing great activities for kids, to who is on the lineup and how they are treated, we have been storing up ideas and ideals over the years. What are the risks and benefits of keeping Home Gathering an entirely independent event? RU: The greatest difficulty in keeping a city festival independent is finding independent space, where you are not confined by the contracts or sponsors of that venue, from choosing local independent suppliers for food, drink, crafts et, and making sure that punters aren’t overcharged for such. Obviously, actually making all your ideas come together into a successful festival takes a lot of hard work, and we are still learning. The risks are numerous and huge, especially financially, but outweighed by the delight of curating your own festival and hopefully creating a diverse, challenging and ultimately enjoyable weekend of live music. The lineup is described as ‘reflecting the wide influences and tastes of The Unthanks,’ what are your personal highlights? We try and bring together our disparate influences, so last year we had a performance of Steve Reich’s Different Trains, pumped out loud on the main stage, with Crimson-esque anarchic jazz rock from Get The Blessing and dark folk tales from Marry Waterson. We pick the line up, so I obviously want to see everybody, but in reality it's sadly never possible! I am particularly looking forward this year to seeing the ever supremely cool Joan as Policewoman, who we have all been huge fans of for years. I am also looking forward to seeing Lisa Knapp, as I haven't heard her play live for a long time and she is always interesting and beguiling. I also love the energy and quirk of Twelve Day and enjoy being drawn into the songs of Chris Wood. I can't wait to see what Graham Fellows is going to bring us and am looking forward to getting on the dance floor for the Neville Staple Band. Who would be your dream future booking? It would absolutely have to be Sufjan Stevens. All of The Unthanks are massive fans. Last time I saw him I wept like a child, yet he is also so uplifting, and I love getting lost in his layers of his music, asking me to have a different experience with every listen.